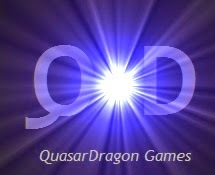 QuasarDragon: Great Freebies and Happy Hobbit Day! Great Freebies and Happy Hobbit Day! Some more awesome free genre items today. Another great issue of the bi-weekly eZine Beneath Ceaseless Skies, a new story up at Tor.com, a new issue of the always impressive StarShipSofa, the continuation of Amber E. Scott's story at Paizo, and a couple of audio versions of classic SF stories at The Drama Pod. Today's illustration is from "The Night Children"
@Beneath Ceaseless Skies: "Butterfly" by Garth Upshaw. Fantasy. @Beneath Ceaseless Skies: "The Magick" by Kristina C. Mottla. @Tor: "The Night Children" by Alexander Gordon Smith. Horror. "There are worse things hiding in the snow than soldiers"
@Paizo: "The Seventh Execution - Chapter Three: The Fettered Freed " by Amber E. Scott. Fantasy. "The moon was a yellow bruise in the sky as I hurried through the streets of Edme. Sweat poured off me as if I raced through a furnace. I ran without seeing, navigating the streets by long practice. I felt I had left part of myself back at home, as if I had lost a limb." "Well, what was I supposed to do? I wished harder. I couldn't just stop." @The Drama Pod: "Youth" by Issac Asimov. Science Fiction. "Red and Slim found the two strange little animals the morning after they heard the thunder sounds. They knew that they could never show their new pets to their parents." @The Drama Pod: "The Burning Bridge" by Poul Anderson. Science Fiction. "A starship captain has to make a terrible choice. Should they go on or should they turn back?" @StarShipSofa: Episode #204 "Dolly" by Elizabeth Bear and "Secret Identity" by Paul Cornell. Happy Hobbit Day! Today (Sept. 22) is the birthday of both Frodo and Bilbo Baggins today so do something appropriate to celebrate. Start one of the books, watch one of the movies, raise a toast, or whatever you think is best. Today is also a birthday of Michael Faraday, David Coverdale, Nick Cave and Joan 'I Love Rock'n'roll' Jett. A good reason to celebrate. Cheers! Did not know that! And I'm a big Joan Jett fan.